Get your hands on highly-detailed large scale model Full Kits. Order your Full Kit today! 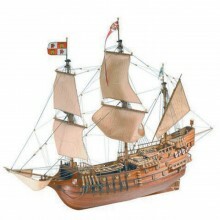 The galleon appeared in the mid-16th century and for close to 150 years was the warship par excellence. Its three decks, an abundance of equipment, its imposing and robust design, characteristic of galleons make the San Francisco II a truly magnificent ship. Scale 1:90. 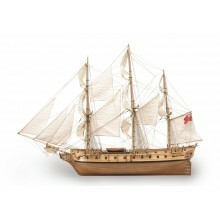 The frigate made famous by the movie Master and Commander: The Far Side of the World, brought to life by Artesania Latina. HMS Surprise was originally built at Le Havre in 1794 as a 350-ton, 32-gun corvette, but in 1796 it was captured by the British Navy and renamed HMS Surprise. She was re-armed and classified as a sixth-rate frigate. Order your HMS Surprise full kit online today and receive everything in one shipment. Comes complete with detailed step-by-step assembly guides.